The Senior soccer team enjoyed a great season this year. They competed in both league and cup competitions for the first time and represented themselves and the school magnificently. The team were crowned North East League winners after a very strong campaign. 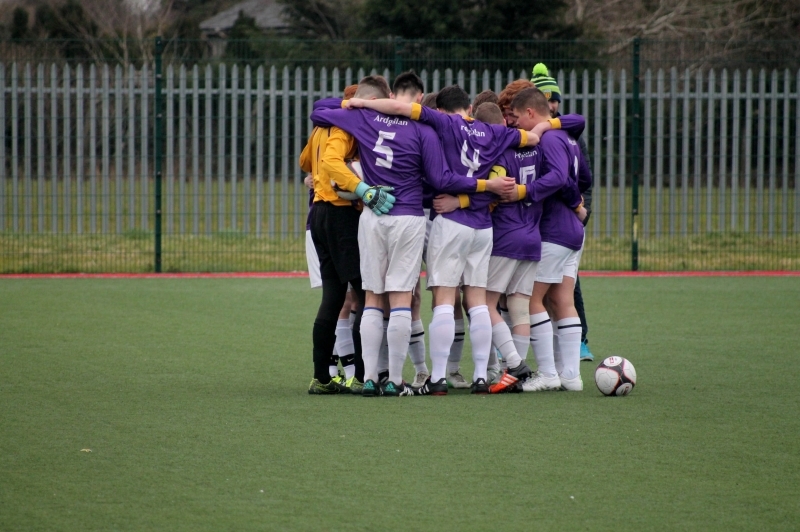 Wins over Balbriggan, Gormanston, Dundalk and O’ Carolan College Nobber saw the team progress to a league decider against Athboy Community School in Dundalk in late January. A strong performance and goals in either half from Daniel Doherty and Shaun Whelan saw the lads capture their first piece of silverware. 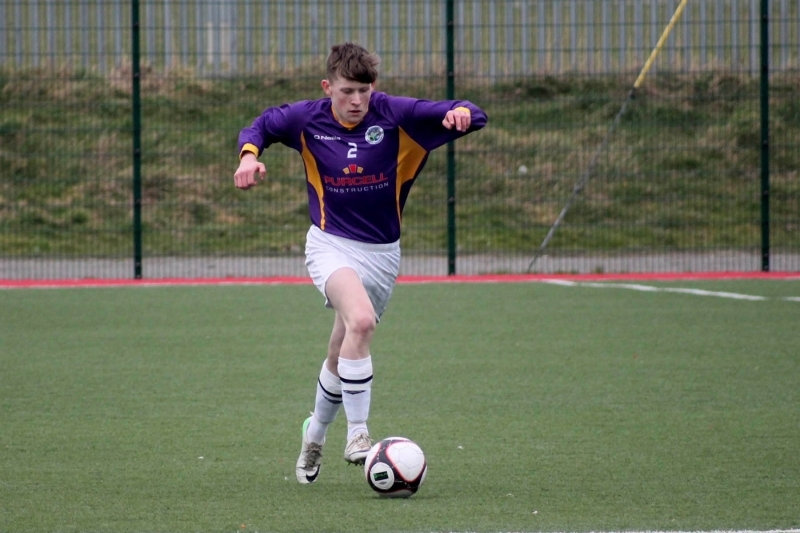 As North East league winners Ardgillan represented the region in a Leinster Champions League competition in late February. 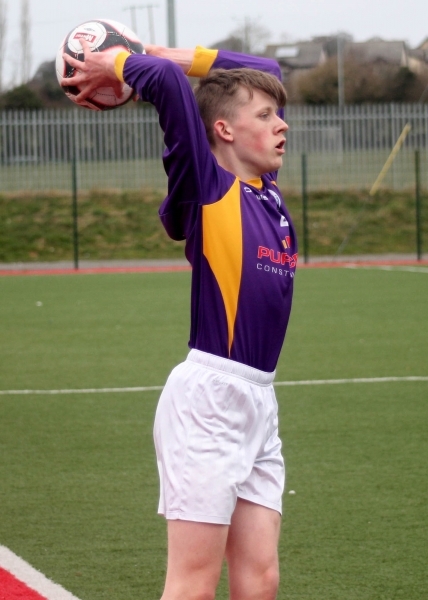 The lads travelled to Kildare for the quarter-final tie against St. Farnans. Atrocious conditions played havoc on the day but the team showed tremendous fight and resolve to score twice in the last twenty minutes and claim a 5-4 victory and a place in the Leinster semi-final. The lads made the trip to Newbridge for the semi-final full of optimism. 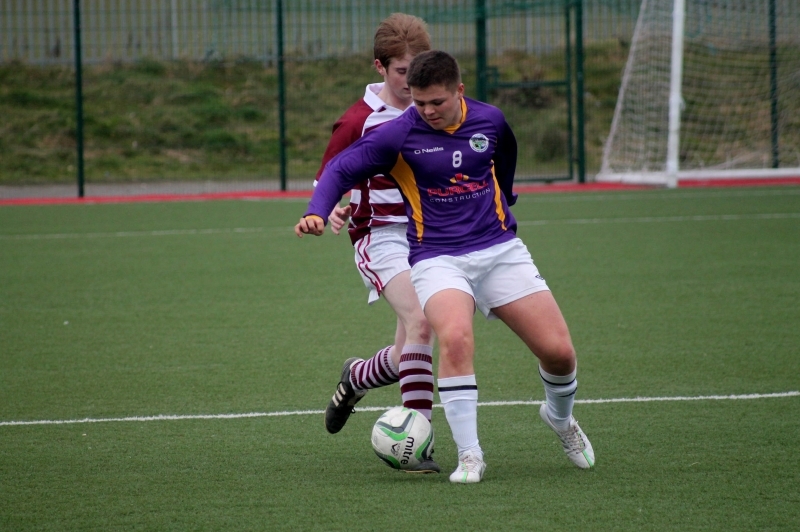 However, a slow start saw the team trail Borris VS Carlow by two goals after just seven minutes. A late first half goal from Dylan Mulligan brought the lads back to life and they soon levelled early in the second half. A strong second half performance saw Ardgillan rattle the woodwork on two occasions but ultimately a decisive goal couldn't be found. This meant the dreaded penalty shootout and despite an excellent Ryan Brown save the lads were eliminated from the competition 4-1 on penalties. 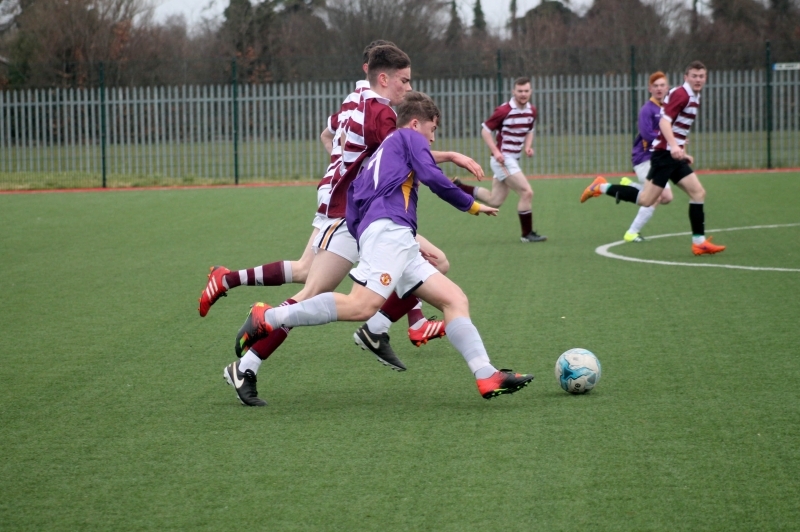 The Senior team competed in the Leinster cup for the first time and performed well in the competition reaching the quarter-final stage. Wins over Gormanston, Ratoath and Colaiste na hInse set up a QF tie with the reigning Leinster League winners CBS Kilkenny. The lads were edged out by three goals to two in what was an excellent endorsement of school soccer. Overall, the lads played eleven matches winning nine and losing just two. They claimed their first piece of silverware and were just inches away from booking themselves a place in a provincial final. With 18 of the 20 players remaining with the squad next year the lads will be hopeful of another positive year to come. Ryan Brown, Hugh Sheridan, Peter Akeme, Oisin Kimmage, Sean O’Driscoll, Oisin Kimmage, Fionn Hand, Daniel Hughes, Lee Fanning, Ciaran Murtagh, Peter Lawless, Dylan Campbell, Shaun Whelan, Niall McCarthy, Sean Hussey, Eoin Morrissey, Daniel Doherty, Dylan Mulligan, Marko Ghiba.